We had a nice weekend at FrOSCon with a lot of fun. 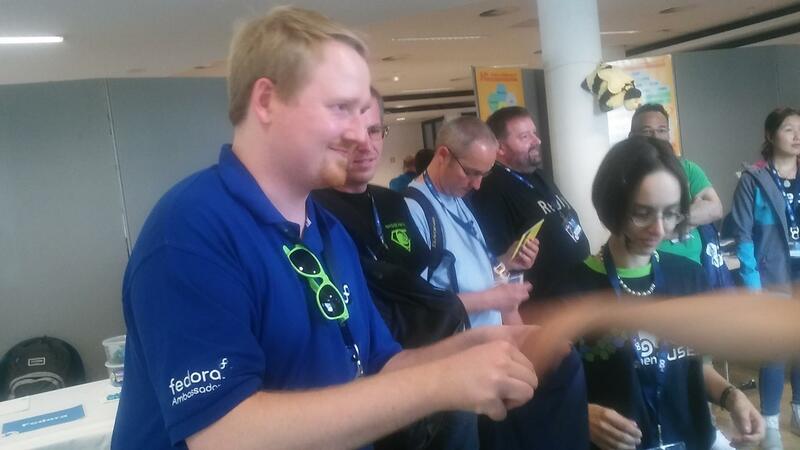 This atmosphere has gone over to our neighbours, so some Fedora Ambassadors wanted to change to openSUSE. That was the last time at the Fedora booth for them and their booth became green. 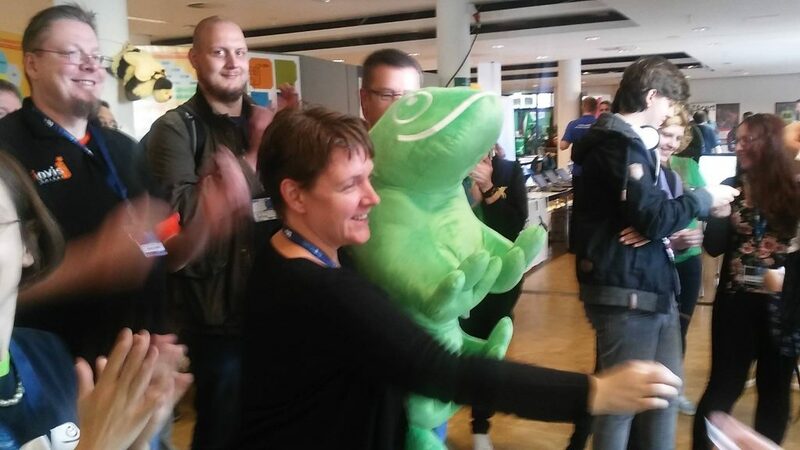 You can see here a Fedora Ambassador who wants to have openSUSE marketing material for students of the university Marburg. He has green glasses as a signal for his change. He’ll give Linux workshops with openSUSE and wants to become a openSUSE Hero. We had many visitors the first day. Our release party took place at our booth at 5 o’clock. We were surprised about so many people. The cake was away after a quarter hour. It wasn’t enough for all interested guests. All were happy and toasted the new Leap release with the champagne. Sunday I went to some interesting presentations. 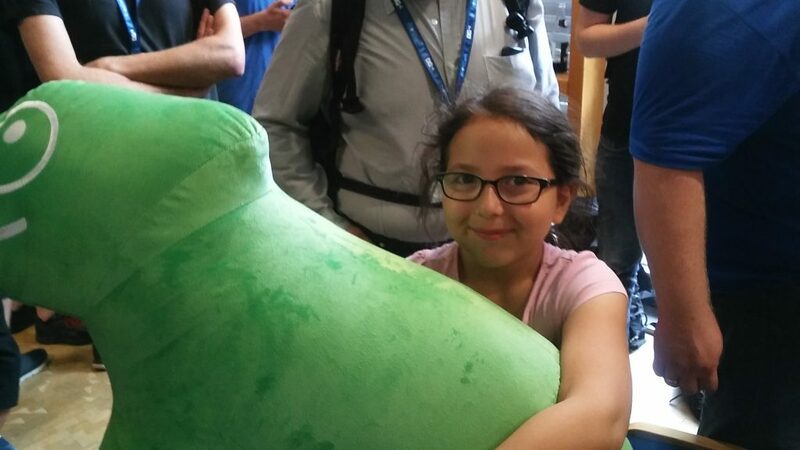 We shared our service at the openSUSE booth. Additional to that we spoke about the OpenRheinRuhr organization, what we want to improve and how we can realize all with new German Advocates. Second day we had a second tombola. This chameleon went to invis server. Debian and Ubuntu didn’t have any booth. Some Debian users asked us for Debian Contributors. I sent them to Open Office. After this visit they came back and talked with us about openSUSE and what is new. They were really interested. 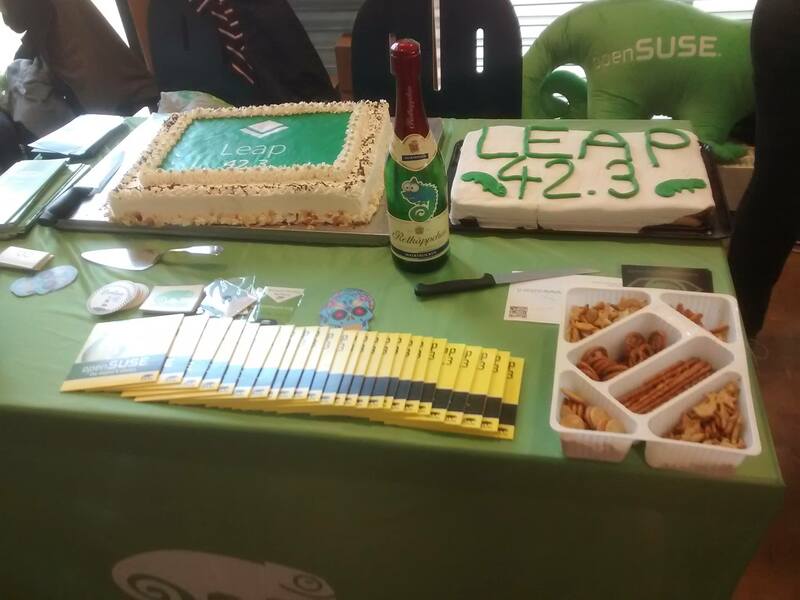 That was a successful weekend for openSUSE with a lot of fun. Thanks for all the sponsoring at FrOSCon!